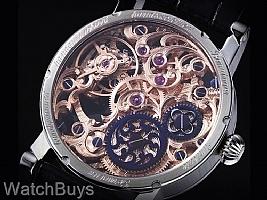 This is one of the most difficult Jochen Benzinger watches to keep in stock - it defines the skeleton watch category. 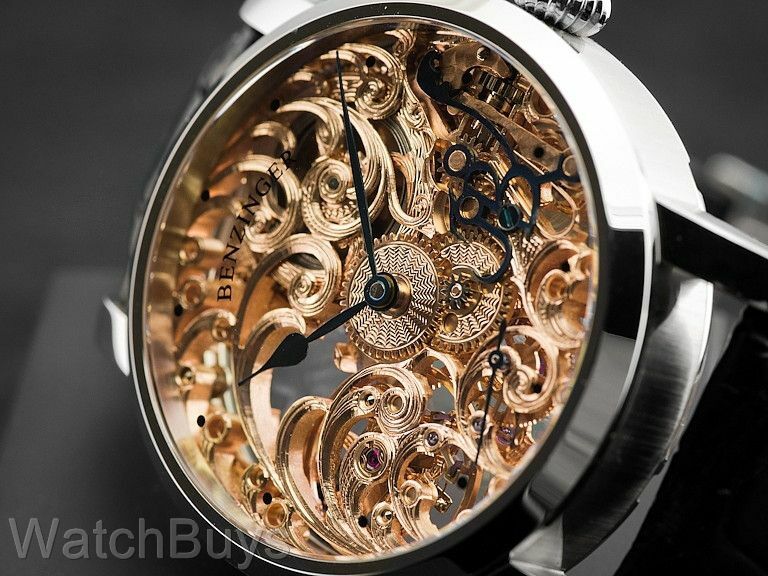 It is one of our favorite Benzinger designs and demonstrates the art of hand skeletonization and engraving perhaps like no other Benzinger. To create this latest watch we asked Jochen to make a complete skeleton watch for us with the final movement decorated in rose gold. 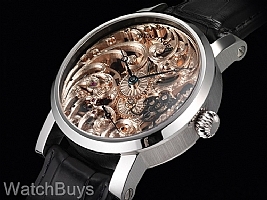 Full skeleton watches have always been on the wish list of serious watch collectors, but when you add the fact that this watch is made by hand (and not skeletonized by a computer program) the result is amazing. In other words, this is the real thing. To create this watch, Jochen makes extensive use of historic rose engines, while the movement is hand skeletonized and hand engraved using many patterns and complementary colors. 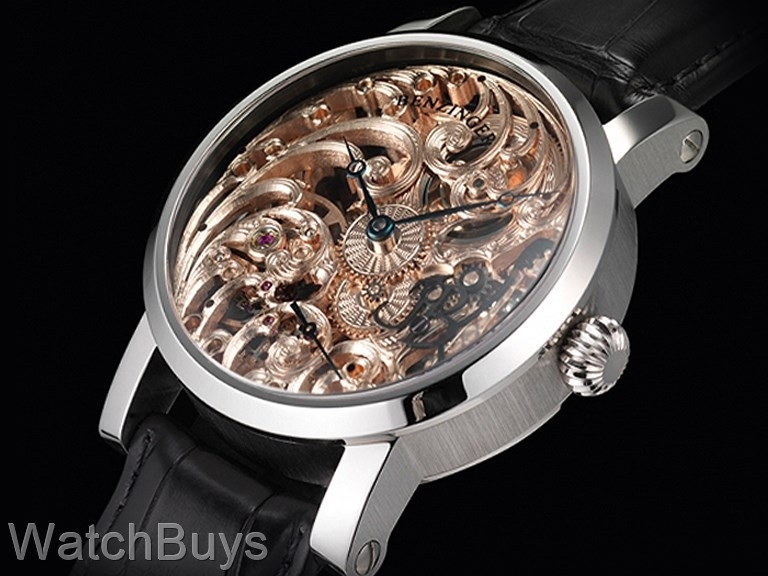 This watch is manually winding with a power reserve of 44 hours. 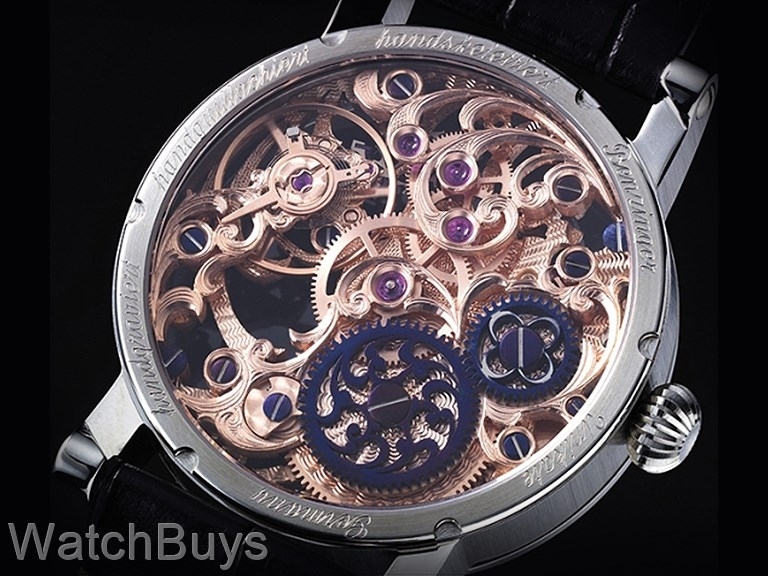 Verified Owner Comments: This is the most beautiful watch I have ever seen, far better in person than what you see on the web site! Customer service from Watchbuys is great as well, I called at closing time on Friday on a holiday and had the watch in my hands Saturday morning!